With a great new navigation comes great responsibility: keeping it great and even making it better! 1. we continue to improve your user experience and the navigation, by putting the information you need where you need it, and making it easier to access functionalities. 3. 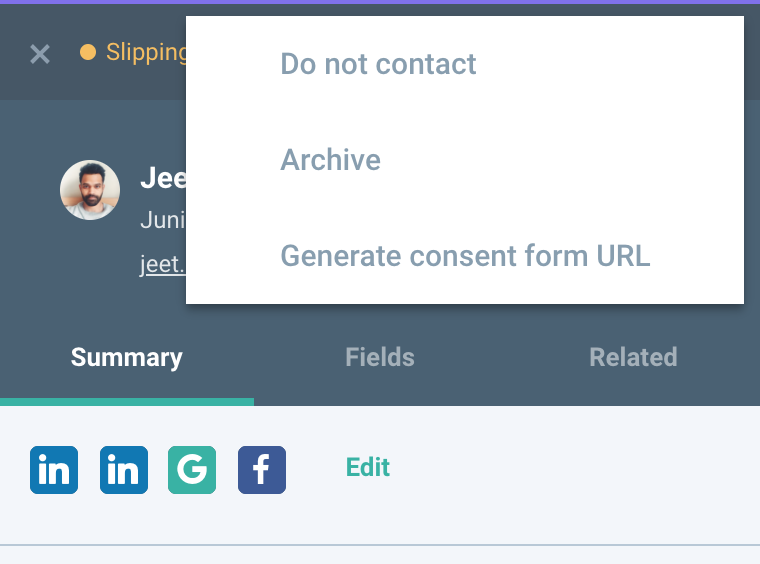 Finally, we make it easier for you to see information that is relevant to you by landing on contacts that have been assigned to you, instead of seeing a long list of all contacts. First, when accessing the "People" module, you now land on your contacts, i.e. contacts that are assigned to you, rather than landing on the list of all candidates. The table and screenshots below indicates what has been added, and where. 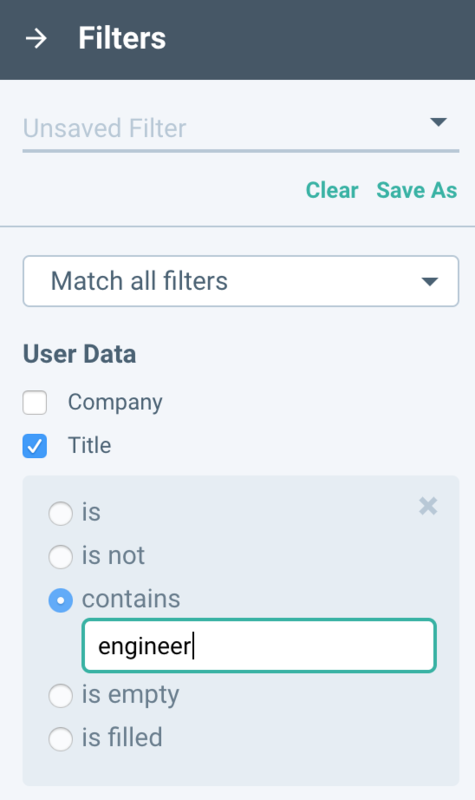 You can now filter companies and titles based on a partial match ("contains"). 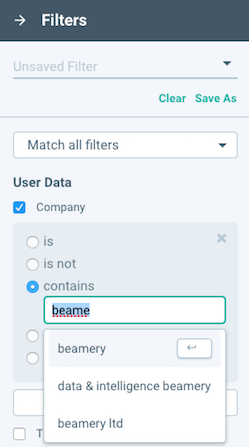 For instance, filtering on "beam" would return all companies that contain the string "beam" in their name. 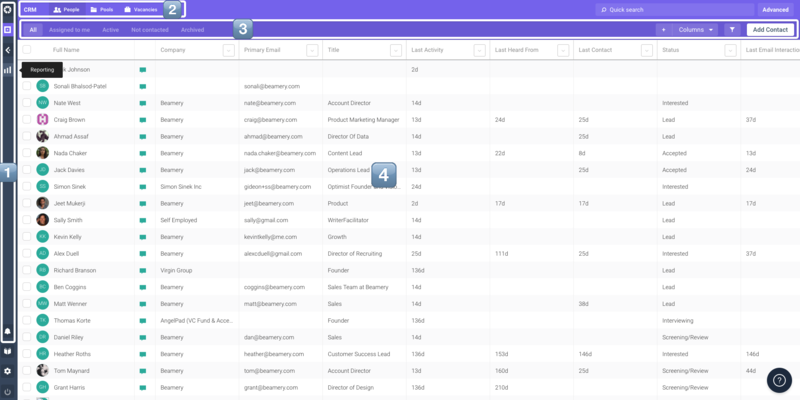 We will soon be releasing to beta customers a new Sourcing dashboard - the Team Leaderboard. It provides visibility on your sourcing team's performance across vacancies assigned to them, including stage-to-stage conversions, candidates added to each stage, and trends over time. 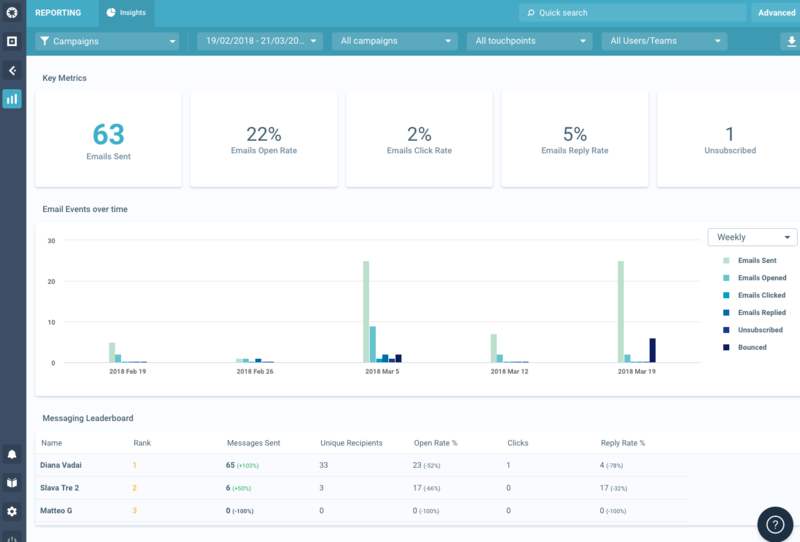 View metrics at both team and team-member level, to drive better decision-making around resources, remove roadblocks, highlight top sourcers and help forecast for the future. 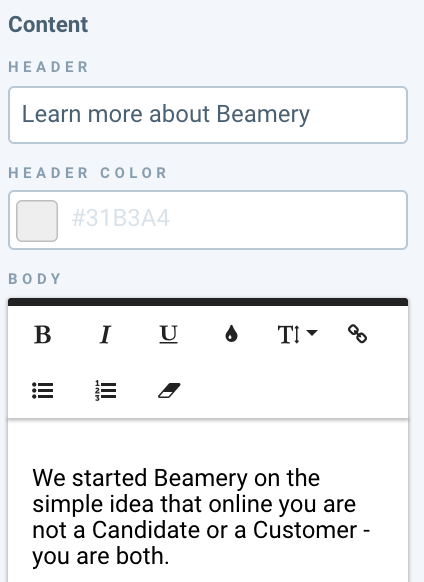 A few weeks ago, we announced our upcoming Beamery 3.0 new navigation. We're pleased to say it'll be live on Tuesday 13th March. The time has come to introduce a new, more intuitive navigation as the flagship element to our upcoming Beamery 3.0 release. You’ll enjoy a faster user experience and notice that there’s now more space for us to grow. How does the new navigation work? The new Beamery 3.0 navigation starts at your home dashboard. It shows your tasks, candidates, vacancies and pools as you can see in the current navigation. The new CRM view contains Vacancies, Pools and the re-named ‘People’ database (currently called ‘All Contacts’ in Beamery), and is where you’ll find all candidates and leads. 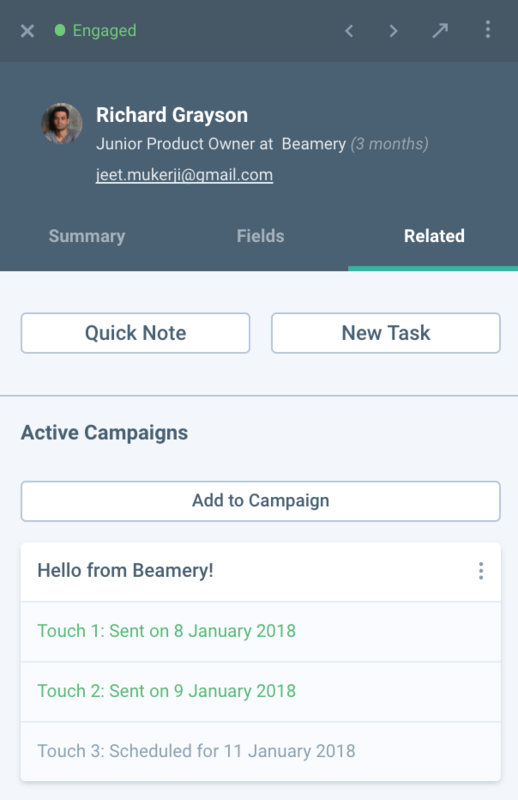 Marketing brings together Campaigns, Pages & Forms and the Beamery Widget into one place, whereas currently in Beamery, these features exist in the main navigation and within your Settings. Reporting remains as a separate item but moves to the new navigation bar and contains all of the same reports you currently use. Candidate ‘Quick Search’ is always accessible no matter where you are in Beamery, as is the ‘Advanced’ search experience, both of which you can find at the top right in the new navigation. The ‘Notifications’ and ‘Explore Beamery’ modules along with your account Settings remain in the main navigation, but you’ll now find these in the bottom left of the screen (currently at the top right of Beamery). For all of these features, once you’ve clicked, you’ll find everything in exactly the same place as before. The new navigation has been updated on our mobile app as well, so you can continue to manage Beamery on the go. 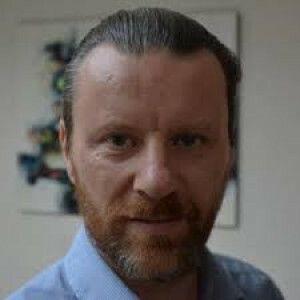 The mobile navigation specifically supports the People database, quick search, mini-profiles and Tasks, but you will still have access to at least part of the functionalities of the remaining features. The new navigation brings you a faster and more intuitive experience as we continue to grow Beamery (and of course, it looks a lot better!). 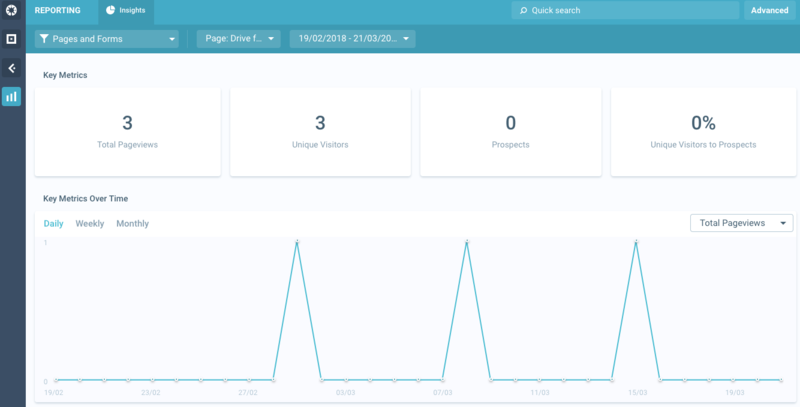 The new layout means we can add new products and solutions into the main navigation bar, and new features that complement existing ones; you’ll see this with the upcoming launch of Beamery 3.0. The site notice can be used to present additional information to share with candidates, such as legal statements and disclaimers. You can include further links and format the text to match the page or form. The social media icons that customers can choose from are: Facebook, LinkedIn, Twitter, Instagram, YouTube, Glassdoor and WeChat. Managing Vacancies, Pools and Campaigns in the Extension are some of the most used features within the Extension. However, it requires a lot of clicks before you get to them: you have to move between tabs to reach them. We realised that 1) this adds extra time and 1) you cannot even review all three of them together. With our latest release you can now manage Vacancies, Pools and Campaigns together in the same and first tab: Summary. Same functionality, just easier to use. In addition, we have optimised the Fields Tab. If you have many custom fields, you can now search for a custom field to enter information as well as find Global Tags next to Keywords. Having moved the most used features to the Summary tab, you will now see the Closest Connections and Latest message in the Related tab. Team Leaderboard: We're building a dashboard to give you better visibility on your sourcing team's performance using Beamery, in order to drive better decision making around resource, identify and remove roadblocks along the vacancy pipeline, highlight top sourcers and help forecast for the future. Heads-up: Our team has been working very hard for the past few months on a new navigation for the Beamery app. This is coming at the end of the month, and we will be discussing this in further details as we are getting closer from the release date. Expanding on the recently released ability to see active campaigns in the candidate profile, you can now see past campaigns as well. This gives you the complete picture of all communications, past and present, with this candidate. Branding is an important aspect of the Pages module. With this release you now have more controls over the look & feel of your pages. 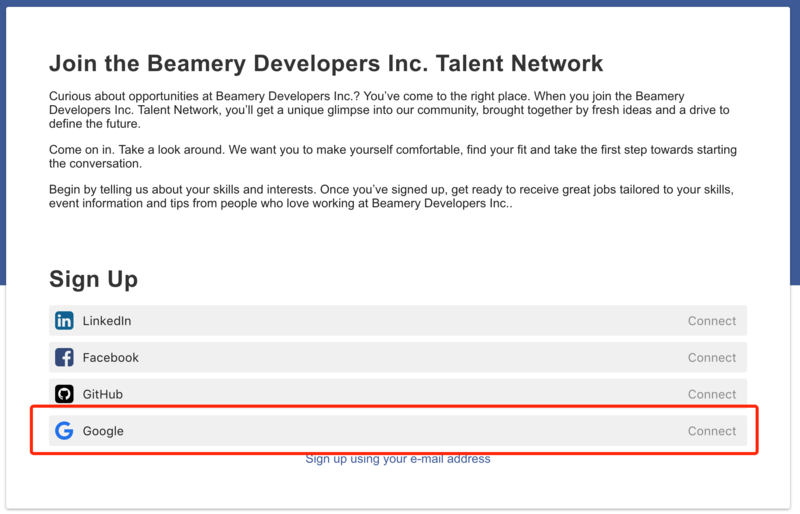 Custom Footers creates a more consistent candidate experience across Beamery Pages and your own sites. You can now display links and site notices that exist on your webpages across pages and forms, and direct candidates to your social media sites via social icons. Under the list of active campaigns, you can now see all past campaigns a contact has been a part of. 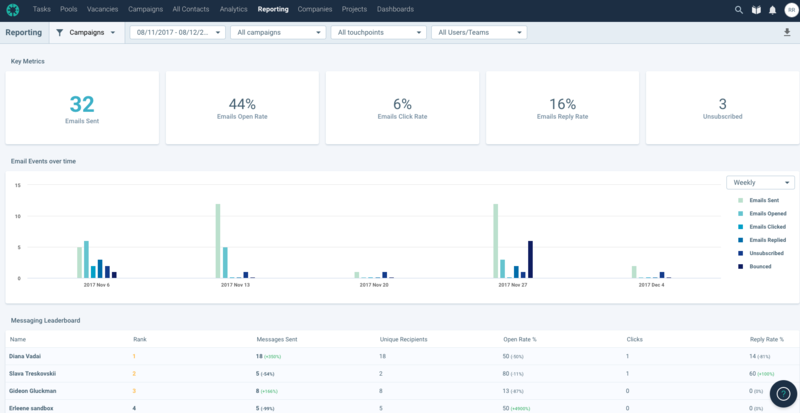 Similar to active campaigns, you can click on the campaign name to see details within the Edit Campaigns page, and click on the touch to view touchpoint analytics. We have also updated the touchpoint states, such as 'Sent', to include more detail. You can now see if the touch was opened, clicked on, replied to, and whether it bounced, was deferred or undelivered. 1. You can now change the header color for all blocks to match the color of the body copy. 3. The text color of the hero block is no longer limited to white. You can choose the text color for the header and subheader that works best with your chosen background image. 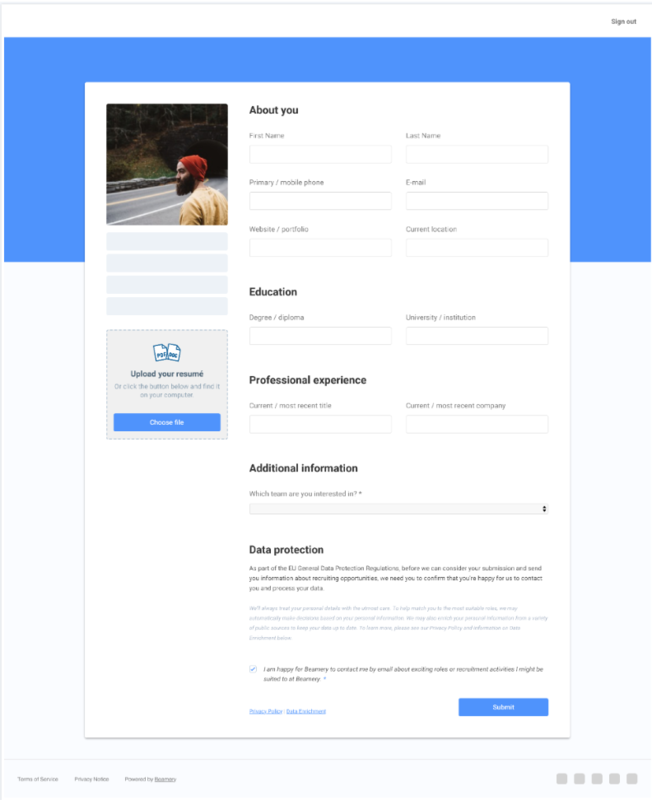 The site notice can be used to present additional information which customers want to share with candidates, such as legal statements and disclaimers. You can include further links and format the text to match the page or form. The social media icons that customers can choose from are: Facebook, LinkedIn, Twitter, Instagram, YouTube. With this first release of 2018, we are happy to introduce two new features. 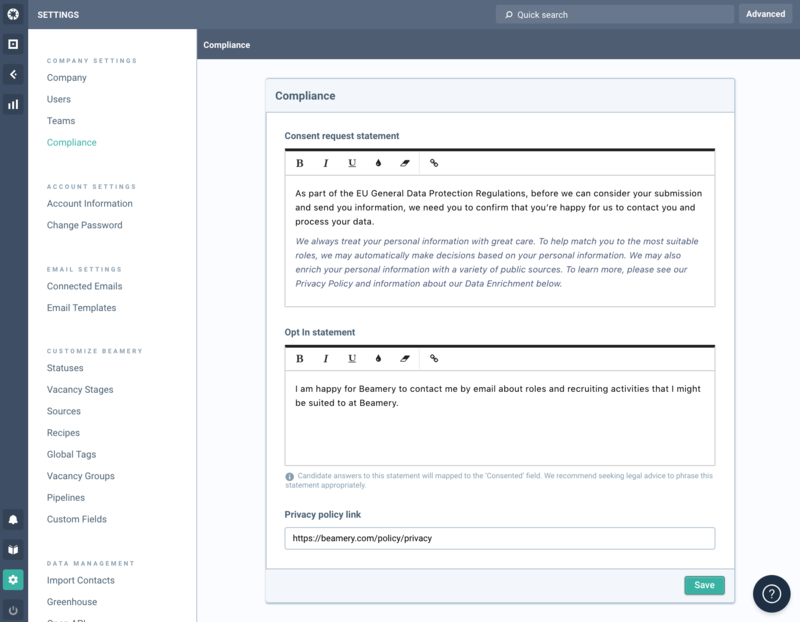 The first one helps Beamery customers to better manage their data, the Recruiter experience, and, crucially, compliance requirements. 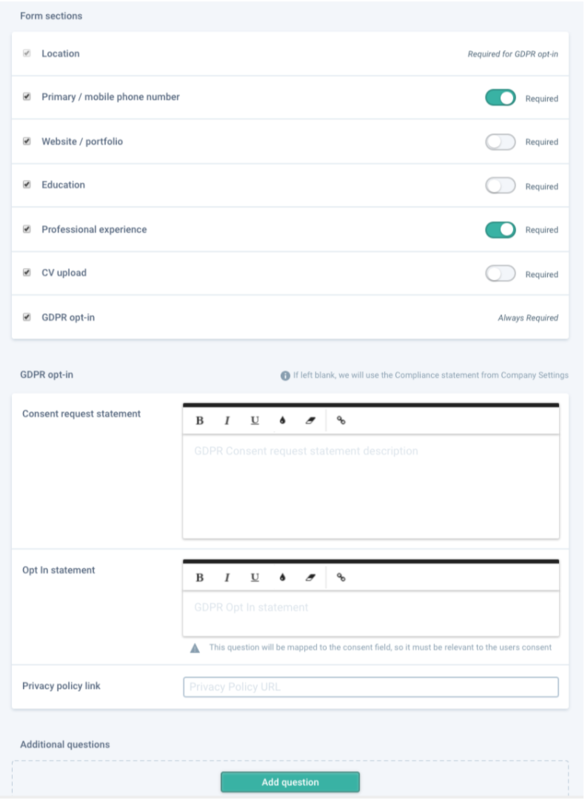 This feature is available for customers on the Enterprise Plan. 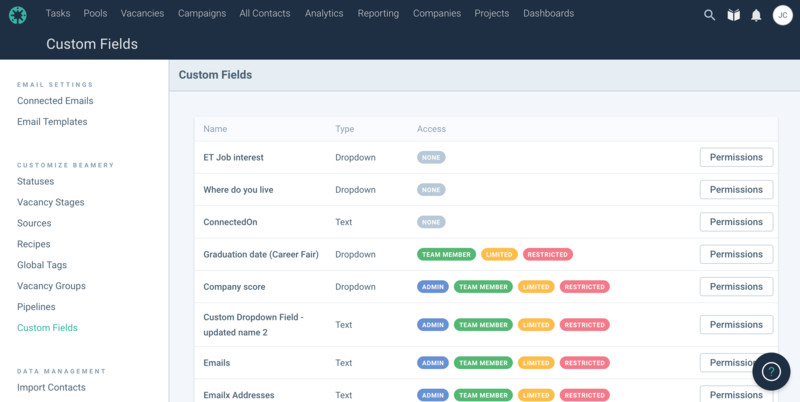 The second feature, requested by many customers, will make life easier for our recruiters, talent marketers, and sourcers by providing visibility of all active campaigns for a candidate for the first time. 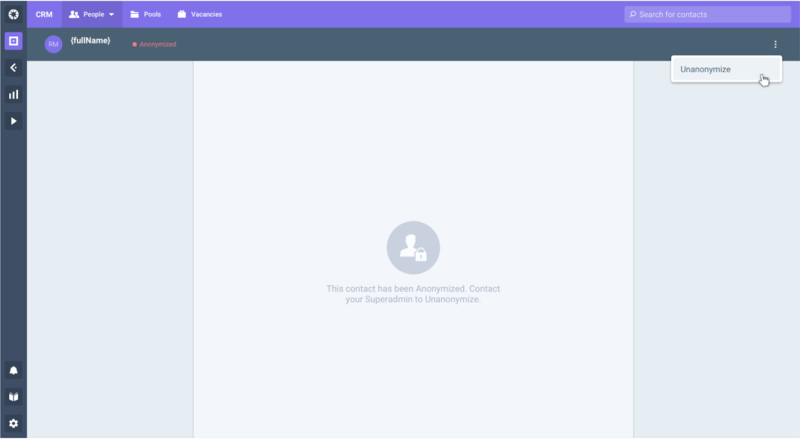 This feature is available to all customers of the Talent Marketing module. Beamery’s Private Fields enables customers to use custom fields in a compliant, secure and scalable way. Beamery Admins can manage access to each custom fields based on their permission level. For more information on how to use and configure your custom Fields, please refer to our help docs. 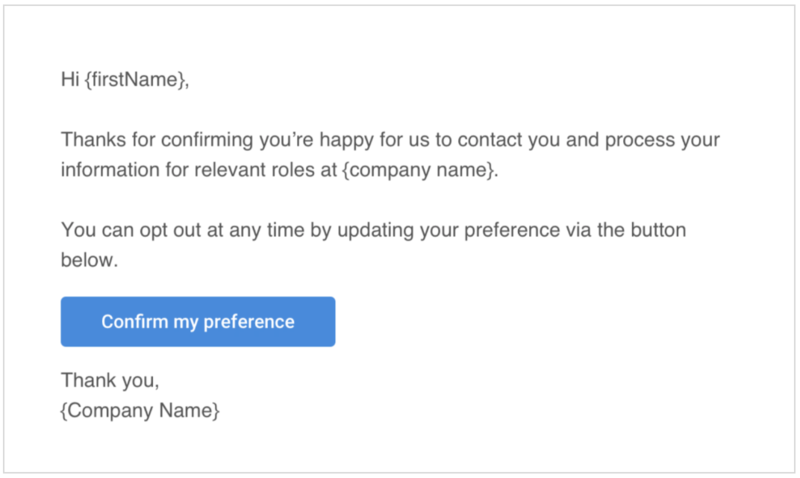 Customers using Campaigns can already add candidates to campaigns from the Full profile, Mini profile and the web extension. Previously, to check which active campaign(s) a candidate is in, they would need to check each campaign individually. 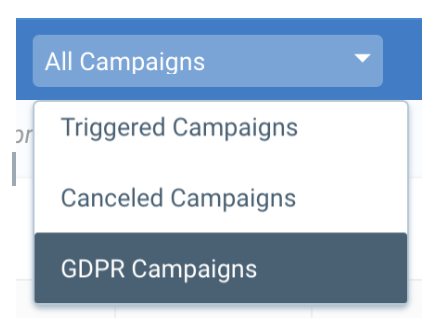 With the Active Campaigns in Profile feature, users can now view a list of active campaigns the candidate is in, remove them from the campaign and click through to edit the campaign, directly from the candidate's profile. With this release, immediately available, you will get much more insights into what is happening with your campaigns. - The diagram representing email events over time moved from being shown as a line diagram to a bar diagram. Team leads (admins/team members) need to see how effectively their team is communicating and who is most effective. You can now find your contacts faster, as the Search will start as soon as you enter a few letters. 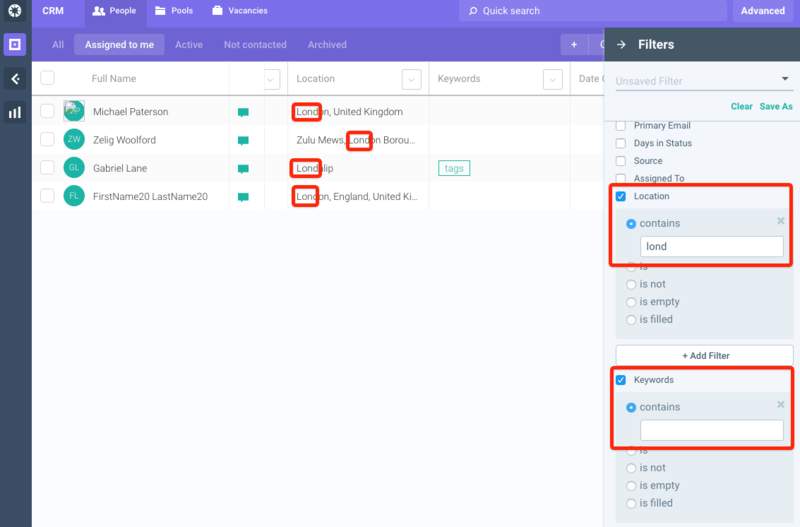 Our search engine will immediately kick-off looking for partial matches on contact names, giving you the results you're looking for faster and more accurately.